Leafly’s Faves is a series providing a glimpse into the strains, products, and brands that our team of cannabis aficionados is buying, consuming, and enjoying the most every year. Some are entirely new to the market, while others are simply perennial favorites that we can’t recommend enough. Below, find our crew’s favorite cannabis vaporizers of 2017. How many have you tried? What was your favorite vape of 2017? Share with us in the comments below! Nothing beats a classic, and the unfailing Volcano by Storz & Bickel is a true testament to cannabis innovation that has stood the time. Developed in 1996, the Volcano broke into the market in 2000 and—due to its incredible quality—has stuck around pretty much as-is ever since. We break this desktop vaporizer out for its dependable hits and solid design that outlasts session after session. The unique design and innovative ideas that went into the Hydrology9 by Cloudious9 kept us intrigued in 2017. With its state-of-the-art filtration system and leak protection, the Hydrology9 puts our minds (and lungs) at ease. It’s like a water pipe and a vape wrapped up in one clean and easy-to-use smoking device. With a hit that heats up in less than three seconds, the efficiency in the Firefly 2 by Firefly has been one of our favorite perks in this tech-forward vaporizer. Made for both dry herb and concentrates, the temperature gauge spans 200–500°F for a truly customizable vape experience. One of the most popular vaporizers around our office, the PAX 3 by PAX is a real powerhouse in the cannabis vape market. We love the option of vaporizing loose herb or extracts, as well as personalizing our PAX 3 via its own customizable app. Pick one up for its 10-year warranty and you’ll always have a quality dual-action vaporizer on hand. Each pull on the sleek and disposable Quill delivers 2mg THC, making it the perfect device for microdosing. 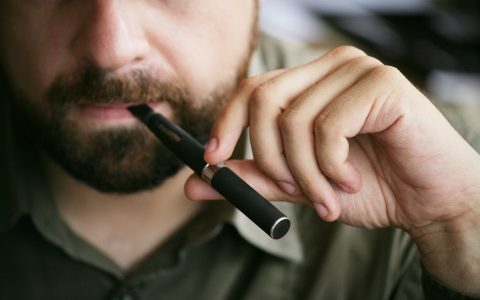 We’ve been keeping a pen on hand to puff throughout the day while breathing a sigh of relief for the lack of additives in its clean, quality oil. It’s available in Oregon and Washington. With a focus on flavor, the PAX Era by PAX was designed to deliver the best tasting cannabis hits from a portable vaporizer. We love savoring Era Pods of delicious extracts using this app-compatible and temperature-controlled vape. Much like its older brother, the Volcano Classic, Storz & Bickel got it right again with the smaller yet just as effective Volcano PLENTY. With its efficient heating and cooling options, we indulge in this vape after stressful days to home in on its strong vapor delivery boosting smooth flavors and an incredible high. Beyond from its stunning color and design, we love the Rose Gold Vaporizer from Bloom Farms for its hefty CO2 extracted 500mg THC content that delivers a potent hit filled with fresh terpenes and continuous vapor. 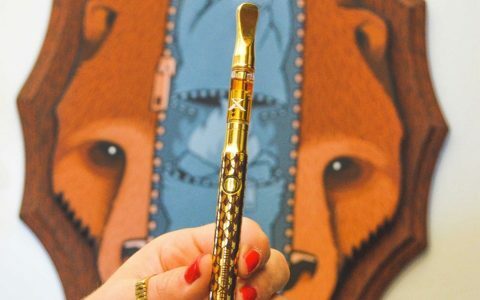 Look for this vape pen when passing through the Golden State, as it’s only available in California. Ergonomically designed for on-the-go vaping, the G-Pen Elite by Grenco Science is the perfect vape companion for all-day use. Boasting a long-lasting battery and a temperature range of 200–428°F, we’ve been experimenting with flavorful terpene profiles while getting to new heights with this compact portable vape. 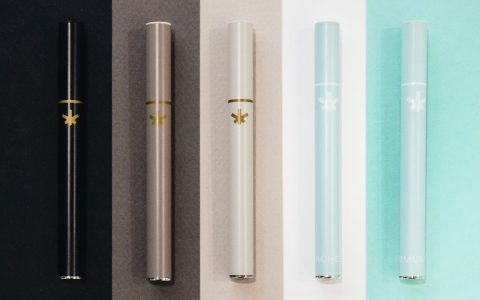 Polished and unique, the Magic Flight Launch Box has long been a favorite among the staff here at Leafly for its stunning design and quality effects, and that didn’t change in 2017. Backed by a lifetime warranty, Magic Flight’s popular vaporizer delivers flavorful vapor wrapped up in an elegant exterior that’s carefully crafted with long-lasting materials. With controlled temperature options that don’t require syncing with an app, Arizer’s sleek Arizer II vaporizer is made with ease of use in mind. We love that we can still use this device while it’s recharging, and we can even see how much vapor we’re taking in via the crystal-clear glass mouthpiece. 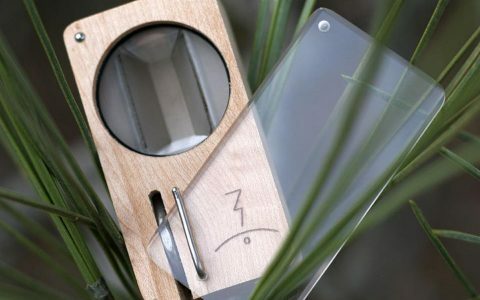 Check out this device if you’re looking for thick clouds and a potent experience.